The Sony Xperia Z5 Premium is good smartphone - well-built, well designed, a good camera, good performance, excellent audio, and poor battery backup. Unfortunately, it simply does not justify the price tag of Rs. 58,190. The iPhones, Galaxys and Notes are obvious alternatives to this, and even something like the Nexus 6P, at a much lower price, gives you a good alternative to it. It is good, but just not good enough. When I reviewed the Sony Xperia Z5, I loved it for what it stood for. A well-built device, complete with an able camera, decent performance and stellar audio. However, it had a few gaping holes in areas of performance and the overall durability. With the Xperia Z5 Premium featuring very similar specifications, what motivated me to use it with a fresh frame of mind was the Sony fanboy in me. Right off the packaging, the mirror on the back is what strikes. Yes, it is a mirror, and there’s no second way of explaining it. Apart from that, it is bigger than the Xperia Z5, and more difficult to hold on to. I confess to have dropped it at least twice on hard ground, although one good factor to come out of that is that the mirror did not crack, and neither did the happy fanboy bubble in me. 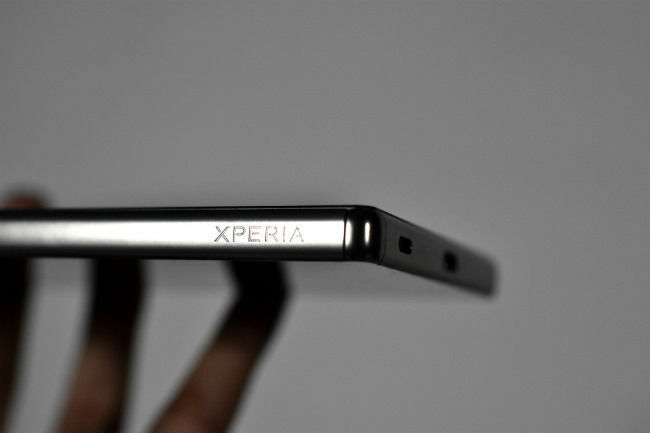 Nevertheless, here’s cracking down the Sony Xperia Z5 Premium, in more detail. As Sony does, most of its phones come with good build quality and a trademark Sony design that is stereotyped, but with a unique finesse. 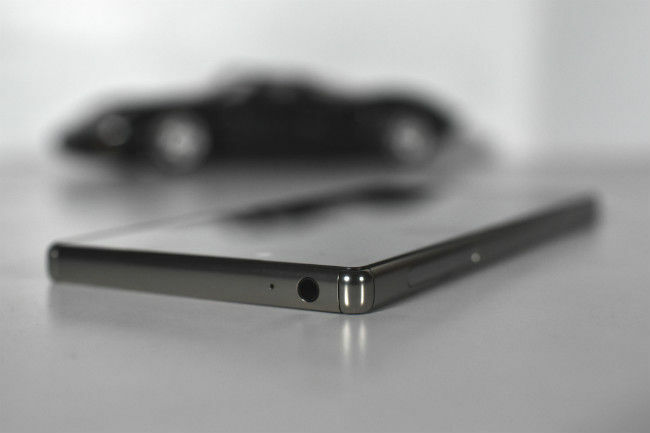 The Sony Xperia Z5 Premium has the typical Sony factor, along with possibly the best metal grade used on a smartphone. 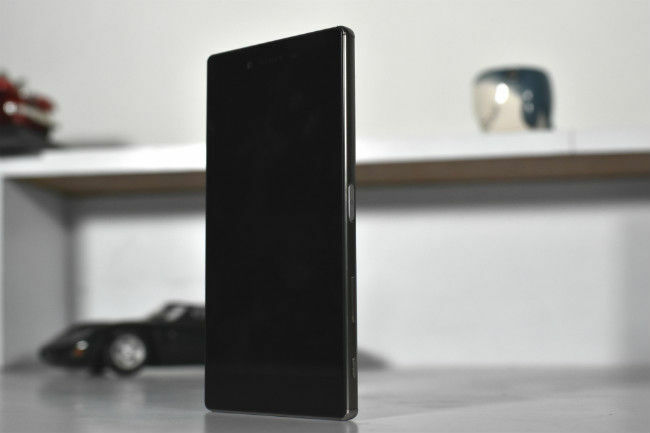 It is almost exactly the same as the Xperia Z5, albeit bigger, and with glass on both ends. The rear glass acts as an effective mirror, which I successfully used to shave every weekend. All of this combines to give it a very good feel to it, which justifies the ‘Premium’ in its title. To make it better, the Sony Xperia Z5 Premium feels relatively sturdier than the frosted glass on the Sony Xperia Z5, which seemed brittle enough to crack at light drops. The larger form factor, coupled with the smooth metal rim, makes it more difficult to hold on to, and being a large device, it is not the ideal device in terms of ergonomics (and definitely not if you have smaller palms). Another factor to note is the fingerprint-savvy rear panel, which reminds me of the InFocus M810 (the bling glass rear panel that bordered on being hideous). When it is cleaned and kept on a show case, it looks absolutely stunning. If you intend to use it, though, make sure you carry a cleaning cloth around, simply because after a point it gets annoying to see your fingerprints all over your smartphone (like some proof of a subtle crime done in the blink of an eye). The UI is exactly the same as you will find on the Sony Xperia Z5 - fluid, simple, no stutters. The display is the biggest factor here, with the Sony Xperia Z5 being the very first smartphone to offer 4K display resolution on a smartphone. While the display does not render every random message or icon at the coveted 4K (2160x3840px) resolution, it only switches itself to the fullest resolution when you view an equivalent resolution photograph, or video. Otherwise, run analytics on the Sony Xperia Z5 Premium, and it will show you a native screen resolution of 1080x1920 pixels. This is different from smartphones possessing 2K resolution (1440x2560px) displays, which natively render every detail at such resolution. Higher resolutions, coupled with IPS panel LCD screens, lead to drastic battery drains, and it is for this reason that Sony has put the native resolution at 1080p, with content upscaling option to 4K. These are all very fascinating in terms of textual reference and history books, but in actuality, you can keep staring at it for ages but not realise the mesmerising difference that it theoretically produces. In simpler terms, 4K may be a venerable resolution, but it just does not make any difference to the human eye. We can only see so much detail, and Sony has always packed its phones with excellent displays that render true-to-source colours, rich contrast and details, no colour shift, and an excellent video-viewing experience. Was 4K resolution required? As of now, I haven’t figured out how to make sense of it, albeit everything looking simply stunning on this display. But, the problem is, things looks equally prolific even on the Sony Xperia Z5. Why would I pay a premium of almost Rs. 10,000, for this phone? Just for the tag of a 4K resolution display? Sony has been wary of the fact that the Snapdragon 810 heats up, and as a result, has equipped the Xperia Z5 Premium with dual heat pipes and thermal paste to keep heating matters under control. In real life performance, the device does heat up, but it does not go beyond abysmal levels, or prohibit using the device to its full potential. The Sony Xperia Z5 Premium is beastly at its very best, but the ‘best’ does not sustain itself for long enough. The heating issue is resolved much better here, and I managed to record at least 12 minutes of 4K resolution video before the Camera application crashed (against the advertised 38 minutes), and played Need for Speed: No Limits for an entire hour, although each had their downsides. Recording 4K video made the device too hot, and gaming for an hour completely drained the battery stamina. The Sony Xperia Z5 Premium is good, but it is nowhere close to being the world beater that it had the potential to be. Attached below are the benchmark scores to add reference. For a more detailed explanation of the Sony Xperia Z5’s performance, click here. The Exmor RS Mobile sensor, as spoken about in our Sony Xperia Z5 review, is yet another dubious performer. Overlooking the slightly oversaturated colours that it produces (which definitely puts it behind the iPhone 6s and the Samsung Galaxy Note 5), there are times when the Xperia Z5 Premium renders stunning photographs to the point where you would believe that this is the best smartphone camera out there, to certain times when it simply...fails. Throw it into any decently-lit environment, and you will be satisfied. Bring on low light, however, and what happens is a lot of noise, coupled with imbalanced colours. The 23-megapixel Exmor RS camera is excellent at times, below mediocre in select few environments. You have ample manual control over photographs, and twiddling around with the settings will almost always guarantee you a good photograph. For instance, in low light situations, ensure that you tweak exposure compensation, ISO and metering to get the perfect focus on your subject. The camera application, its shutter response and every other aspect is fast, but it is not the zippy 0.03 seconds of phase-detection autofocus that was advertised. I ended up shooting in HDR mode for most of the time to get better results. For more details on the camera, check out the camera review of the Sony Xperia Z5, or our parallel comparison of the Sony Xperia Z5 Premium with the QiKU Q Terra. Audio performance here is ditto as the Sony Xperia Z5. Please refer to our review of it, for full details. As expected, the battery stamina of the Sony Xperia Z5 Premium, despite the large 3400mAh battery pack, is weak. Our own battery test returned an abysmal turnout of 6 hours and 40 minutes. Similarly, on Geekbench 3, the battery test lasted for less than 6 hours. Despite Sony’s attempts to optimise the battery performance by scaling its display down to 1080p in real life scenario, it just does not work, and at the very best, you will last for a full work day (9am to 6pm), and not a minute more. If your usage revolves only around messaging and calls, you may last an entire day with the Xperia Z5 Premium, but that does not justify buying this phone in the very first place. You either need to have a power bank (cheaper option) or a secondary device (expensive option) to use the Sony Xperia Z5 Premium to its fullest potential. The Sony Xperia Z5 Premium is good smartphone - well-built, well designed, a good camera, good performance, excellent audio, and poor battery backup. Unfortunately, it simply does not justify the price tag of Rs. 58,190. The iPhones, Galaxys and Notes are obvious alternatives to this, and even something like the Nexus 6P, at a much lower price, gives you a good alternative to it. The Sony Xperia Z5 Premium is good, but just not good enough. As an afterthought, though, if you happen to have loved Sony devices, go for it. You’ll live through it.